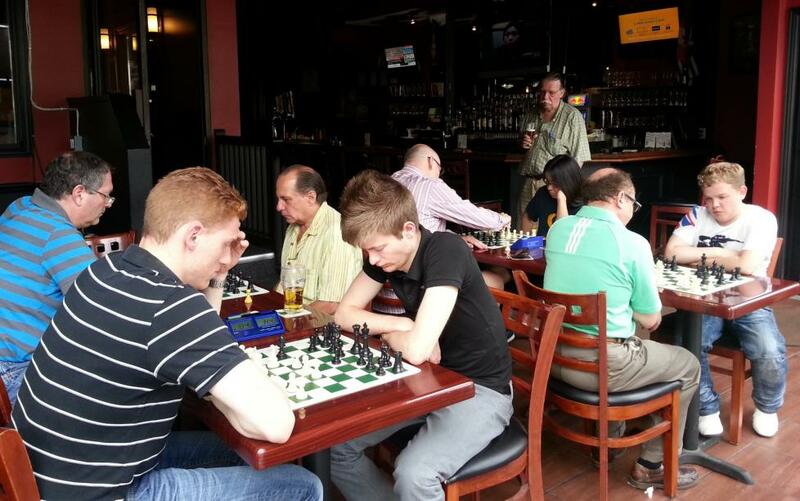 July 6th a special event was held at Legends Sports Lounge. 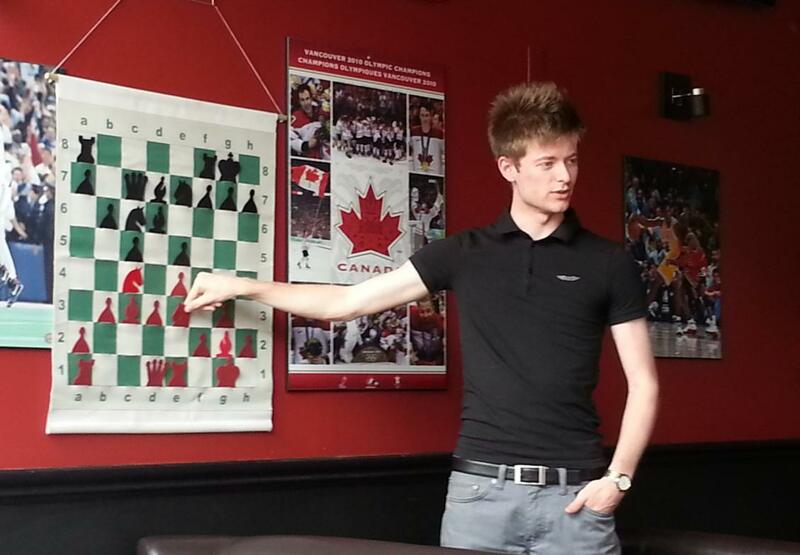 Aman Hambleton was in Toronto to celebrate his recent successes in Europe. He showed a game or two from his most recent tournaments and played joined our regular Rapid tournament which had some of our top regular masters competing for a First Prize of $200. 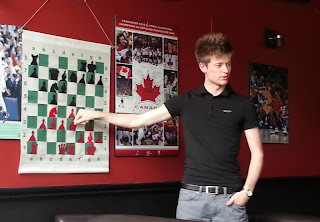 Here are some pics from the event(from Chesstalk).